Thomas Hooper is such an amazing tattoo artist and I was lucky enough to get tattooed by him on Monday. He made a start to this tattoo around my hip and it hurt like hell on the belly. Eventually it will all be shaded with some wispy clouds at the top with a negative space moon and a couple of ravens. 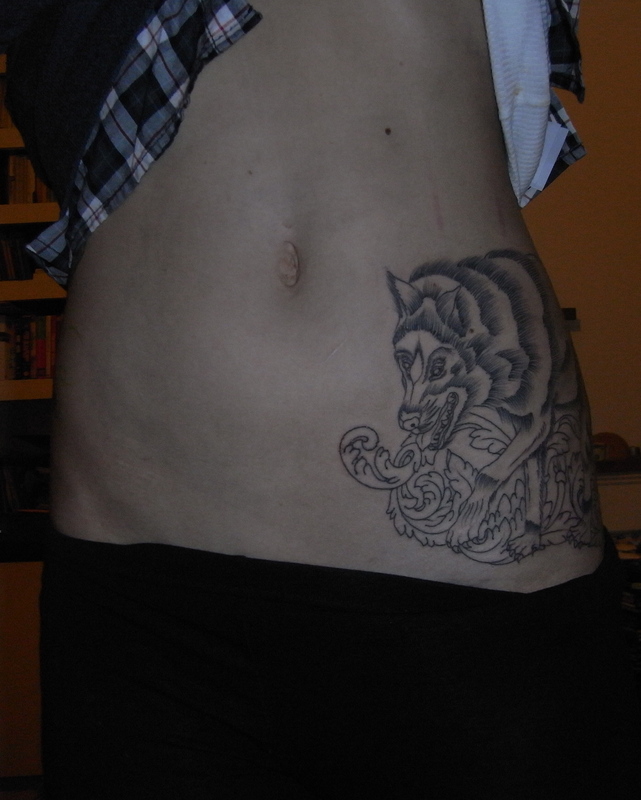 And I’m getting a similar wolf on the other side. I’m gonna look like a bloody zoo if I don’t stop soon!